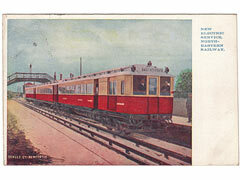 Featured selection of our Railway Postcards, Tram Postcards and General Transport postcards. Our selection includes Edwardian and Georgian Art and Real Photographic postcards. L.N.W.R Co building, parliament Street (London? 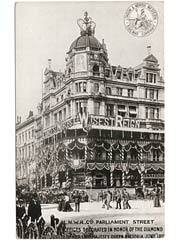 ), decorated for Diamond Jubilee, London and North Western Railway Company Postcard. Photographic art postcard in good condition with mild crease along center of card. 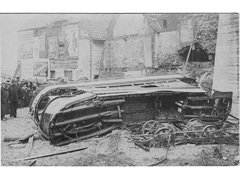 Revised Series 1904. 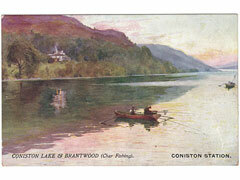 Coniston Lake and Brantwood (Char Fishing) Coniston Station, Furness Railway Postcard. Art card by Raphael Tuck and Sons, Series 2, postally used, postmarked Carnforth July 1907. S.V. 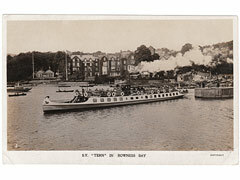 Tern in Bowness Bay, Furness Railway Postcard. Postally used, postmarked 1920. 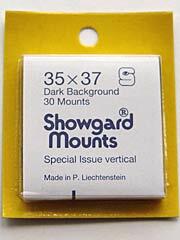 Real Photographic card by Raphael Tuck and Sons, Series 11, in good condition, with 2 bottom corner creases. 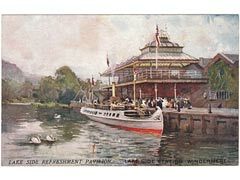 Lake Side Refreshment Pavilion, Lake Side Station, Windermere, Furness Railway Postcard. Art card by Raphael Tuck and Sons, Series 1, in very good condition. 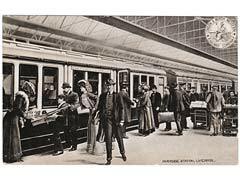 Riverside Station, Liverpool, London and North Western Railway Company Postcard. Art postcard in very good condition. Additional Series 1905. New Electric Service, Tynemouth, North Eastern Railway Postcard. Art postcard in good condition. Postally used, postmarked Gateshead August 1904. 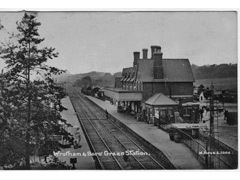 Real Photographic, Postally Used, Postmarked Wrotham Aug 1915. Many postcard subjects can also be filed under a town or place, try searching or use the topographical link below for more subject postcards. Subject Postcards from A-Z, Airplanes to Zoos thru' Military, Shipping, Cinema and Transport postcards. Postcards of Places from A-Z, Towns, Villages, Counties and Regions, specialising in Yorkshire postcards. Our postcards are 1 off originals, stock is updated regularly but subject to availability.